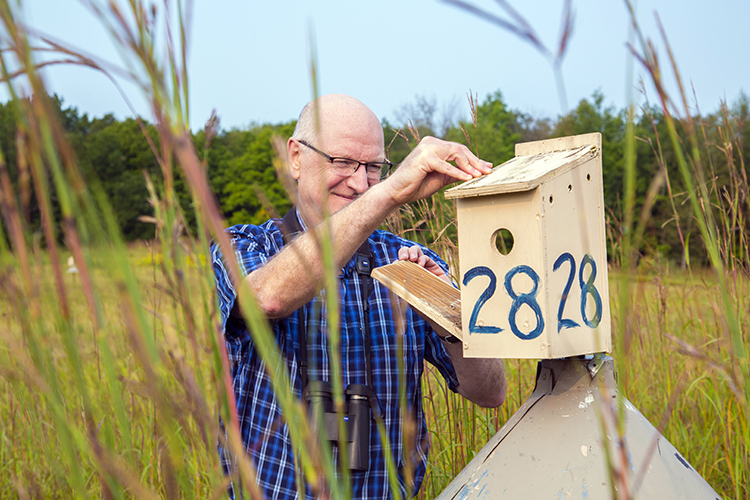 Professor Peter Dunn checking the bird houses at the UWM Field Station located in Saukville, WI. Dr. Peter Dunn was recently featured in an article that highlights his extensive research on bird mating habits. Read about his work here.